Visiting markets is one of my favorite thing to do in a city. And not because I’m a shopaholic. No,no, because I’ve already resolved that if I’m traveling for a year, I intend to keep my luggage lightweight. It’s already a mystery why my bag increased its kilo without me doing any major purchases. How much do magnets weigh anyway? I’m there to savor the sights and maybe sample the food. I usually take my big camera and a small bag. 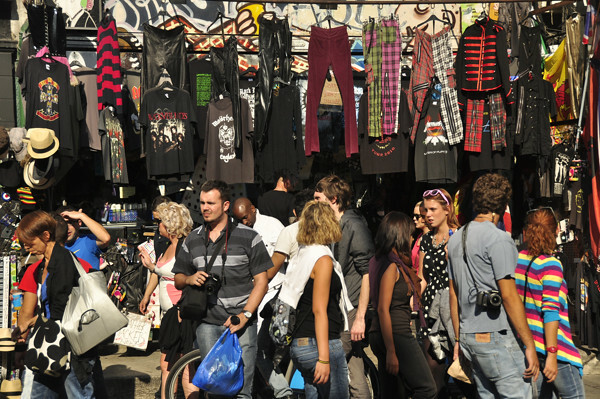 London has some great markets for every type of clientele. 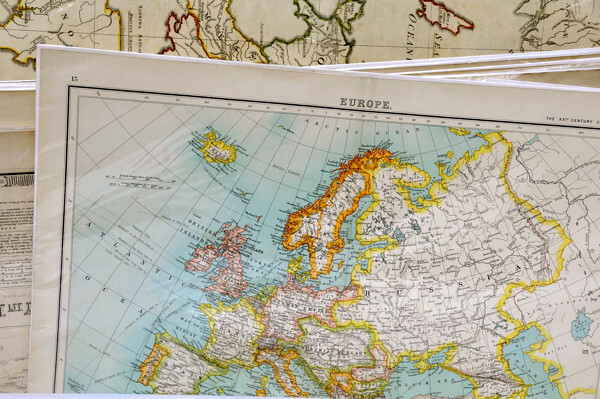 Farmers markets for the foodies, antique and flea markets for the treasure hunters, shopper markets for the fashionistas and bric-a-brac collectors. 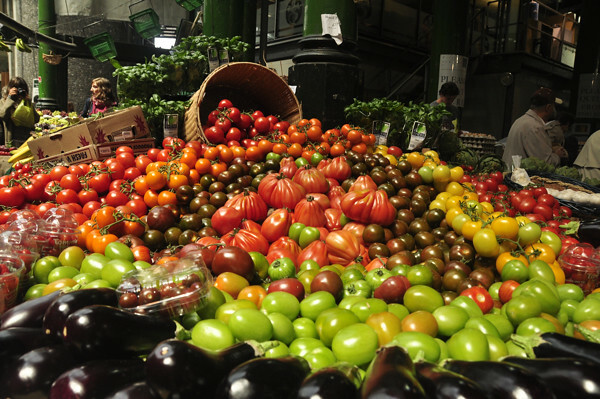 While in London, I went to 3 of its famous markets and maybe I’ll visit a few more when I come back, as there seem to be new ones sprouting every week. 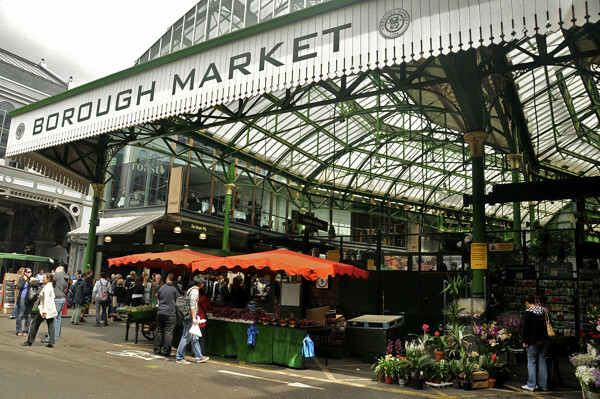 BOROUGH MARKET is an award winning fine foods retail market and a hugely popular destination. 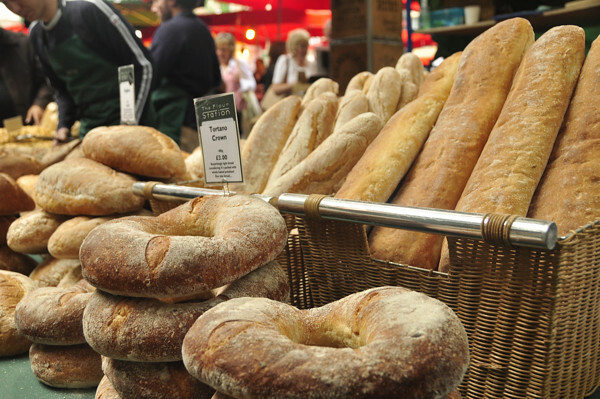 It’s a weekend market that’s all about food–fresh, baked, cooked, cheese, chocolate, wine… name it. 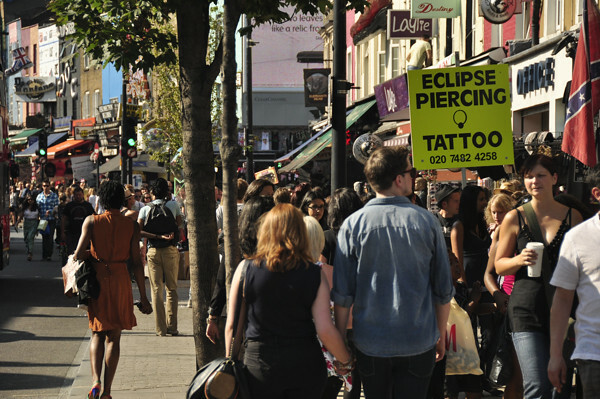 It has become touristy but many Londoners come for their fresh and other food indulgence. 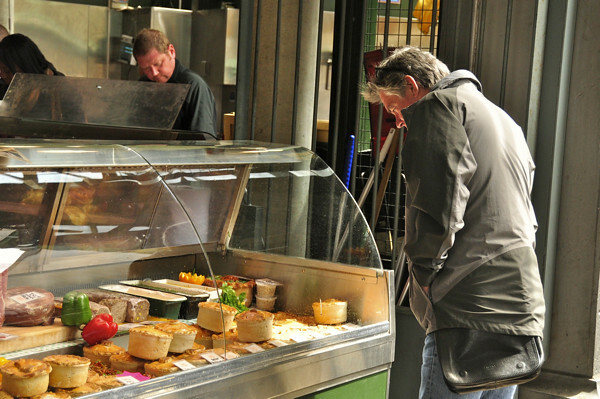 Come here hungry and go home foolishly full by just sampling the goodies from over hundred of stalls. 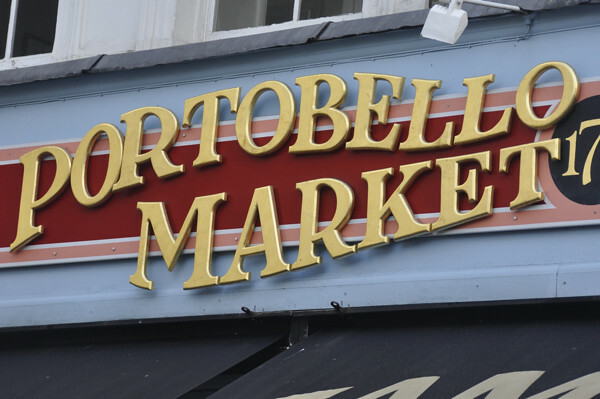 PORTOBELLO ROAD is a general market on weekdays but is famous for the great cosmopolitan atmosphere of its Saturday market. 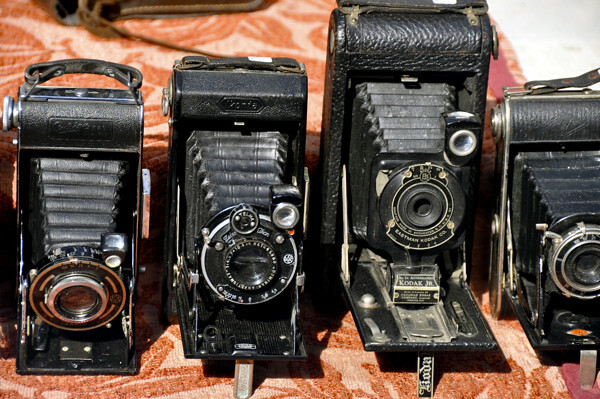 Antiques predominate here but there are also clothes, silver, china, bric-a-brac and more. 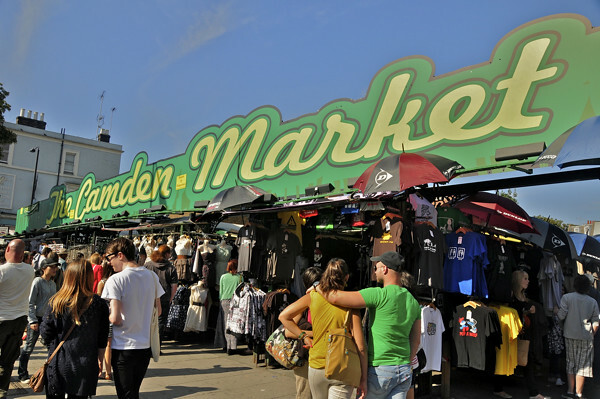 CAMDEN MARKET is one of the best known and busiest markets in London for clothes, accessories, crafts, and bric-a-brac. It reminds me a little of the Jeans Street in Bandung, Indonesia. 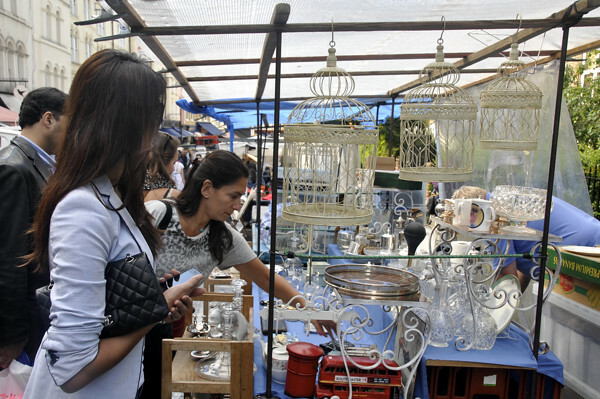 It’s a big event on Saturday with all the side streets becomes part of the market with weekend peddlers. 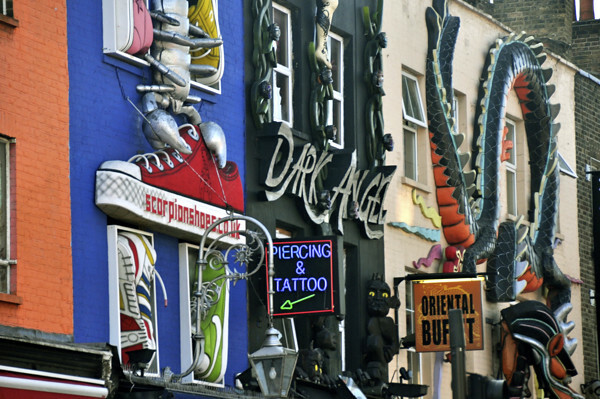 It has variety of shops but the main street is little Goth. 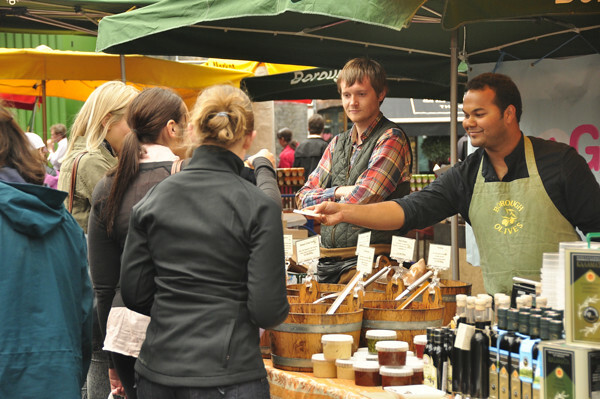 Which one is your favorite London Market? Maybe I can take a look when I go back. 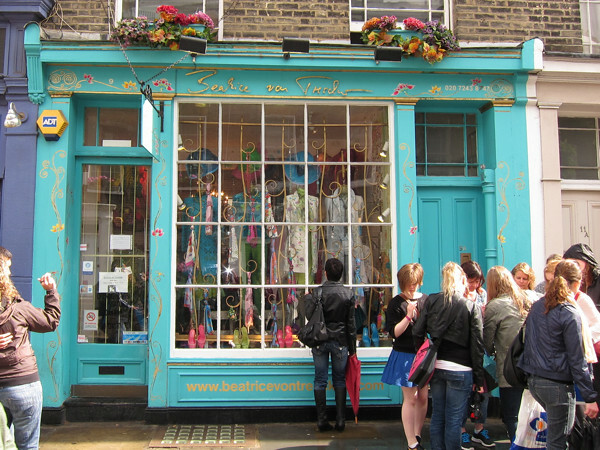 I have a soft spot for Spitalfields! I have to say Camden Lock disappointed me a bit but Portobello is just lovely. I’m such a big market fan! Awesome pics!!! Looks delicious but expensive. 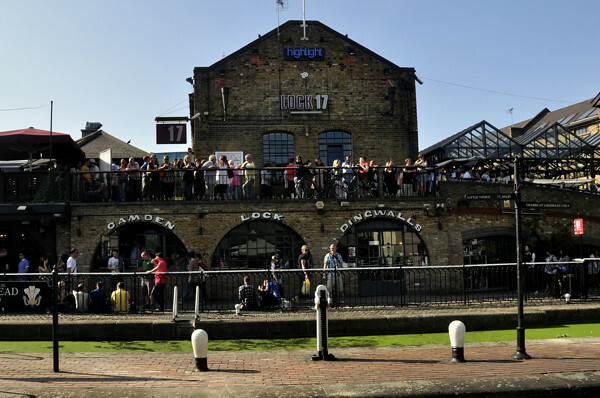 I loved camden market. I loved those canals with those slender house boats on them. Want to rent one one day. I live a stones throw from Portobello! Amazing on a Saturday and the best local street food! Especially Hummingbird cafe with an amazing Red Velvet cuppy cake! Market frustrates me in the sens that there are so many knick-knacks and I have to stop myself from buying. Portobello is amazing! So nice that you live there. Covent Garden? Love it for its street performers. Lively, just like the other markets in London! Have a safe trip!